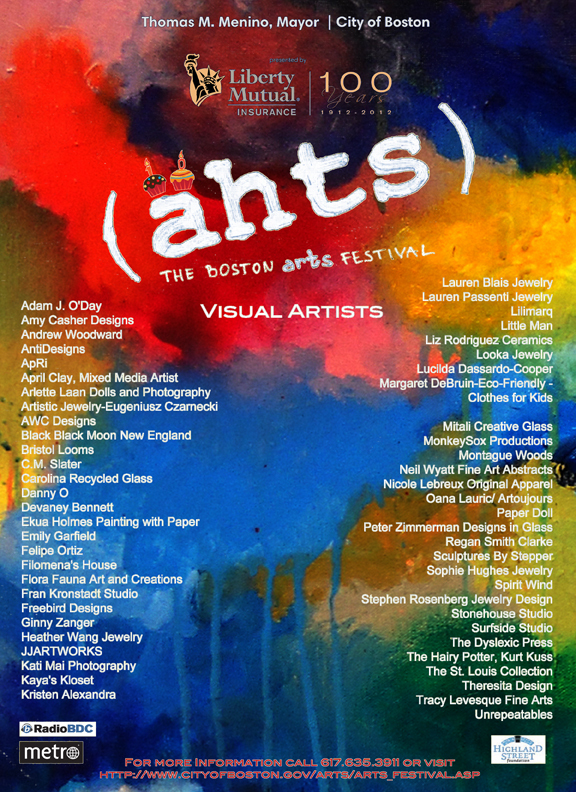 (ähts): The Boston Arts Festival features the best of the Boston Arts Scene – both visual and performance. The 2012 festival is Friday, September 7th from 6-9pm and Saturday and Sunday, September 8th & 9th from noon-6pm. I’m participating in the visual arts section on Saturday and Sunday, September 8th & 9th from noon-6pm. I’m in the 3rd tent on the right after the info booth. I have a ton of awesome merchandise to offer! See attached jpg to see the list of amazing artists participating this year! Free and open to the public. Family Friendly, Hope to see you there!